Make sure that your cat is vaccinated against rabies at least 30 days prior to you wishing to leave the country. Every cat needs a rabies booster before they leave the country. 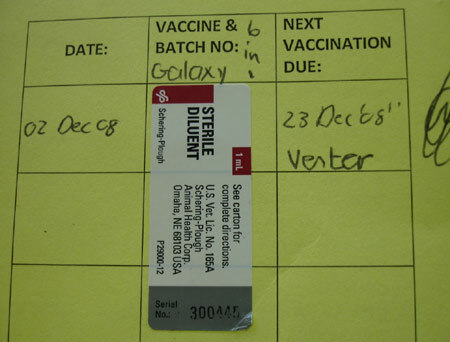 You must have the original vaccination record with the correct stickers and dates as well as the vet’s contact details clearly displayed. Decide if you wish to bring your cat on to the plane or have it as checked baggage or as checked as cargo. Bringing a cat onto a plane means you will be confining it to a smaller space than if it is checked baggage or cargo. Buy a cat crate that is the suitable size for your cat and that is airline approved. Crates are airline approved for ventilation and food and water requirements. Some airlines require metal fasteners on the corners of these pet carriers. Be sure to confirm with your airline that the style you need meets their specific construction requirements before purchasing. This can be challenging as the airline from the Thai end can be extremely unhelpful and insist that you purchase a crate first! Know the weight and size (height x width x length) of your crate which should be on the specifications. You will need to have this information ready when you contact your airline. You will also need to give them the weight of your cat. The reason is that this will determine the cost of your excess luggage when you go to pay at the airport check-in desk before your fly. Book your flight – check that they have space for your cat before you confirm your booking as they only allow so many animals per flight. Contact the airline and explain that you wish to book a live animal onto the flight as carry-on or checked baggage/cargo. Get confirmation from them and a price quote for the cost of transport. 3 days (no more than this – even if in some places you see it mentioned that 7 days is ok, sometimes it is not!) prior to your departure you must go to the Bangkok Suvarnabhumi Airport Customs and Animal Quarantine Office. All pets must be inspected by the government vet before leaving the country. Original rabies certificate, with vet’s contact details and phone number (in English and legible). Cat micro-chip number if you have one (not necessary to have a microchip, but if you do have one, you need the number). At the office you will need to fill in a Form 1/1 which is an export request. You do not need to do this before hand. At the office the vet will conduct a health check, take a photograph of your cat and give you the documents you require for export. This costs 50 Baht per cat. Familiarise your cat with the crate it will be travelling in. It helps to leave something with your scent in there for the trip. Planes are cold so make sure that your cat is going to be warm enough by adding blankets etc. Your crate must be properly labelled with arrows to show right way up and ‘live animal’ in words 2 inches tall. You also need to leave feeding instructions and have your details on the crate. Line the bottom of the crate with newspaper and/or absorbent pads. Do not use straw or other grassy materials as the importation of plant material is prohibited. Make sure you have enough money with you at the airport as either Thai Baht or as US Dollars to pay for the excess baggage. Check in as early as possible so that if there are any problems you have some extra time to sort them out. Hand over the paperwork you received from the airport vet when you go to check in. They may ask for copies of the health certificate – in which case hand these over now. They will then tape these to the cat crate. If your cat is going to be transported as excess baggage you will need to bring them to the oversize baggage area before you go through customs. When you are in your seat, you should get a confirmation from the air steward that your cat has been loaded onto the flight. If not, you can ask them to check prior to departure. A customs official may want to check your cat at the destination. If you checked your cat as excess baggage then collect your cat after passing through customs. Have to sent with TG cargo? I am going to delivery my dog with TG cargo flight to Frankfurt.Is it risk? no, but i trust thai airways more than most carriers. should be fine. Thank you so much for this post. We were so worried we would not be able to take our cat to the US. My fiance says she won’t make the move unless Chucky can come too! Really well detailed post too. Thanks again. We’re a bunch of volunteers and opening a new scheme in our community. Your website offered us with helpful information to work on. You have performed a formidable process and our entire community might be thankful to you. This has been very helpful. However, does anyone have any suggestions for relocation services? 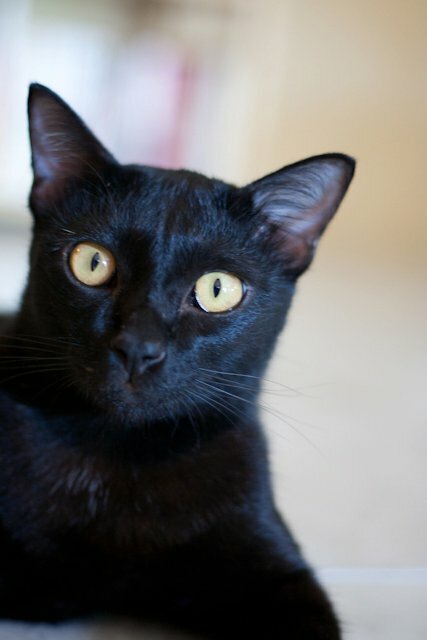 I need to ship one of my cats ahead of my flight and am having trouble finding a door-to-door service to the USA. Also, looking for less than $1000. Most international providers of this we ice charge $3000! Does anyone know 1) how current the above information RE exporting a cat is to date, that is, Sept, 2012? If you know of any differences or changes, PLEASE let me know ASAP…might have to do a quick return to USA. AND, 2) if you have an answer to the person asking about pet-shipping services, Thank you AND, as I am almost broke from a theft and might not have enough money to take my two cats back with me, actually, MORE IMPORTANT question above these might be 3) are there any international groups (*I’d be returning to USA*) that might help me to ship my cats back to USA? I barely have money for ticket, if that…and, I see costs mounting for bringing them back…with no sure home on the other end, even…looking for options is all. THANK YOU! i exported another cat march 2014, same process. delta now allows in-cabin carry on if the animal fits under the seat. up to two cats too – if small enough. as of last year the cost was $200 for the carry on fee, for either 1 or 2 cats (same price). sorry for the delay in replying. Often you can fudge the records if you can find a sympathetic vet. You need the stickers from the vials and the dates, which are hand-written. Just have them back-date it a bit if they are willing. Ok, so very informative thread, Thank you, but just as importantly any idea of cost? Was the only thing I saw missing. I was also curious the rabies vaccination requirement must be the Thai requirement then? The US does not require cats to be vaccinated before entry to the states. The cost on the Thai side was less than $5 for the paperwork. If you plan to layover anywhere (Japan, for example) you must have that vaccine record. They met met at the gate at Narita with my kitten last year and made me show them those vaccine records before they let me on the next plane. I don’t see any updates since the 2011 original posting other than questions. I am flying from Phnom Penh to Bangkok on Bangkok airways, then Evaair to Seattle USA. I have read all kinds of official documents saying for transit pets Form 1/1 has to be filled out and sent to the airport vet with a copy of airlines tickets, health certificate and export certificate, which Bangkok airways requires as well. Are you coming from Cambodia with the animal or Thailand? I don’t know anything about Cambodia exporting but I’m going to guess you’ll need a lot of paperwork from them as well. I don’t know anything about transit in Thailand either. I just exported another cat one year ago from Bangkok to Portland, ORE and the process for that was exactly the same. I was able to put the kitten in the cabin even, under the seat in front of me. The U.S. side really doesn’t care. Hello Cee, which airline did you use? Here they say just rabies vaccine but I’ve seen other posts saying a bunch of other vaccinations too; what was your experience? I am also moving my cat from Thailand to Portland, OR. We are going through Narita. Did you also do this, and if so did you have any trouble? Yes I went through Narita the second time I brought a cat back. I carried the cat on the plane under the seat in front of me. Because of that, I was met at the gate by a gate agent who double checked I had the correct paperwork (export permit, health certificate and rabies vaccine card with stickers). Once they checked that they let me go and I got on my next flight. If you plan to put the cat in cargo make sure you have the paperwork on the carrier so they can do this without you there. Thank you for such a quick reply. I will be doing the exact same thing so this is reassuring. Happy to have helped! I’m assuming you are flying Delta – just check in real early and you won’t have any problems. Good luck! Sorry, one more thing. I have read that you need to submit the pet transportation application (R. 1/1) but I can’t seem to find out WHO I submit this form to and how early I need to do that. Nevermind. I see above you answered this as well. I don’t need to do it ahead of time. Sorry. We will be taking our cat from Thailand to South Africa in December. We have asked an agent to help us in South Africa on the import side, but will be doing everything our side from Thailand, or did you use an agent? I find that they are extremely expensive in Thailand. With regards to the export permit- where do you get this from? Is it arranged when you go to BKK airport to? I did it myself, hence the write up here for other folks to follow. If you read the section “3 Days Prior To Departure” you’ll see all the info you need. Thank you! I did see that, but wasn’t sure if the export permit was issued at the airport too? – So everything is done at the vet at the airport prior to departure? Does our own vet in BKK need to do another Health Certificate? Or is that just the vaccination booklet the vet gives us? I was a little confused about the same question as andie. I have the rabies paperwork already, and will take my cat to BKK 3 days before departure, but I’m wondering whether I also have to take her to a vet before that for other paperwork? The airport folks will check the cat to make sure it looks okay and issue you the health cert there. If I remember correctly, I did not get a health cert from my vet. Hi, so I’m moving my one cat from Phuket to New York in about two months (we’ve only been here for around a month and a half so all her shots are up to date still), but I’m wondering if this is still the right way to do things? Also if she got her rabies shot only a couple months before we fly out we shouldn’t have to redo them right? Please get back to me soon! Thank you! I’m pretty certain this is still the current process. I’m terrified about taking my cat back to the US. Aside from all the regulations, how traumatized were your cats? I have a two stop connection; BKK-NRT-DEN-RAP. Its’s a brutal flight even for a human, so I’m relly worried how she will deal with it. Did any of you sedate your cats for any portion of the journey? Veterinarians do NOT recommend sedation (any more) for animals being transported by air, because such medication can cause respiratory problems. The best thing you can do when you’re flying with your cat in-cabin is to stay calm yourself. I brought my cat in-cabin US to Thailand and had her shipped for the return, and I think in-cabin was easier on her (though harder for me). She was stressed during travel but fully herself within 24 hours. Ahead of travel time, concentrate on making sure your cat is up-to-date on rabies (>30 days before the flights), your 1-3 day pre-travel vet / inspection visit is scheduled at the airport so you’ll have airline-required animal export paperwork ready. (Check for current rules on when this has to happen – these can change.) Fewer airlines allow in-cabin pets these days, and those that do limit the number per flight, so make sure your airline knows you will be traveling with a pet and be ready to pay their fee up-front during check-in at the airport. Make sure your pet carrier (and your cat) meets the airline’s size and any other requirements, and give your cat plenty of time to get comfortable with the carrier before travel. (Feliway spray can help with that – use per directions, don’t just spray and immediately let the cat into sprayed area.) I felt safer having my cat in a harness with leash, in case she freaked out and tried to run and hide during security check if I was asked to remove her from the carrier (sometimes I was, sometimes not). I had to try 2 or 3 harnesses before I found one she couldn’t slip out of. I brought a collapsible small litter box and a zip-lock bag of litter along and snuck her (in the carrier) with me into the restroom once on the longest flight for a pee break, but if you feed lightly the day before and give no food or water the day of travel, a healthy cat will do fine and may be more comfortable for the long journey. I know it’s hard to do, but be prepared and then try to relax, and your dear pet should get through it fine. Thanks for the comfort. I’ll have to ship her cargo, don’t think even if the airline allowed it I could do it. I’d be traumatized for the entire flight, and since she’s a meow’r at the best of times, I don’t think it would go down too well with our fellow passengers! I did worry about noise in-cabin, too, though my cat is usually quiet unless distressed. She only yowled a couple of times, and it’s surprising how loud the airplane noise is, and how much it drowns out. In any case, cargo should be fine. Just be prepared that the cat may pee in the crate, even if there is an extended break between flights with access to a pet rest area. (The cat doesn’t know that’s coming, of course.) Mine was totally back to normal within 2-3 days of her cargo travel, and we were apart for a bit longer than you probably will be, since we used a pet shipping coordinator and weren’t on the same flight. Good luck. It will be fine. We got a very expensive quote from PetRelocation (>$4000 US), and then our movers, BluFox, referred us to a veterinarian at Thonglor Pet Hospital whom we ended up hiring. The all-inclusive price (including plane travel for the cat) was ~$1500. Her name is Dr. Thitiporn Pliansamai, and I believe she was considering making her own business for this, but I don’t know whether she has. She arranged everything, though – flight for our cat, getting the cat taken for the airport inspection a day or so before transport, everything. It was not 100% smooth, but it all worked out OK. I think our regular vet from Sukhumvit Veterinarians has also gotten more involved in international pet transport, and she may be a good resource. She’s wonderful. Her name is Dr. Wachiraporn Kanil (Dr. Noon / Nun). Good luck! This is the number I had for her while planning our move in early 2016: 087 500 2952. You could also try contacting BluFox Relocation. We worked with Nick Chomonter [email protected]. He put us in touch w Dr Thitiporn initially. You are SO lucky that the USA is not as strict as Australia regarding animal imports from Thailand. I’m sending 2 cats to Australia in a week. They must spend at least a month (more likely 6-7 weeks in another (approved) country like Malaysia for quarantine (7 days) and to undergo a second TITER test in an overseas lab, other veterinary treatments, get export paperwork, etc… and pet boarding before export. When they arrive in Australia it’s another 10 days quarantine and there is now only ONE quarantine station that accepts cats and dogs in Autralia (in Melbourne). I’m glad I don’t want to return to Darwin or Perth. All up I estimate it will end up costing me around USD$7000 and that is relatively cheap because I’m doing a lot of the export process myself. We already have rabies in the mainland US, so we don’t have to worry about making sure the country remains rabies free. We do have quarrantine in Hawai’i because those islands are rabies free. Good luck with your kitties! Hello Cee, how much did it cost you with the airline to add the cat? Or was it just considered as normal baggage? Delta charged me recently $200 to bring an animal onboard under the seat. I don’t know the current costs but the airlines all post them on their websites. You do need to pay additionally. Hi! I am not sure but I think exporting a dog is similar to exporting a cat! Call your airline and ask about the tickets. When we do export permit is that come with the passport for pet too? Hi just wondering if you can still take cats on board with you? (Im quite supprised to read you can! Ive been on at least 100 flights and seen it all.. except a live animal! Im in Phuket and understand from your post a check up is required in BKK, do you have the process to fly a cat domestic within Thailand? What about passengers with allergies? Where do you put the cat? Under the seat infront?